Versailles is the most famous royal palace in the western world. Its story is absolutely riveting: high historical drama under the last three kings of France's old regime combined with the high camp of the most glamorous of European courts, all in an iconic setting for the French arts. Versailles itself has been radically altered since 1789, and the court itself was long ago swept away. 'In Search of Versailles' sets out to rediscover what is now a vanished world: a great centre of power, seat of royal government; and for a cast of thousands, also a home, both grand and squalid, bound by social codes almost incomprehensible to us today. Using the latest historical research, the book will probe the conventional picture of Versailles as a 'perpetual house party' of pleasure-loving courtiers and give full weight to the darker side: not just the mounting discomfort of Louis XIV's aging palace but also the ceaseless intrigue and status-anxiety of aristocrats dependent on royal favour for handouts and social recognition. The book will bring out clearly for the first time the fateful consequences for the French monarchy of its relocation to Versailles and the inability of Louis XIV's successor to shoulder the mythic weight of the gargantuan palace. The book will also examine the changing place of Versailles in France's national identity since 1789 and analyse its extraordinary hold on foreigners from George Washington to Nancy Mitford. 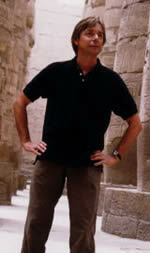 This will be the first full account in English for over thirty years. "novel and excellent.....The palace comes to life again"
"For any tourist who has visited the Palace of Versailles and wondered about the generations of royals who lived there, Spawforth’s well-researched book offers an illuminating portrait…. If the details that Spawforth, a British historian, provides in “Versailles” sometimes border on too much information, he makes up for it with vivid stories about the royals’ personal choices and the ensuing architectural changes. (Marie Antoinette demanded a system of locks that allowed her to bolt her bedroom doors from the bed, furthering rumors of infidelity.)" 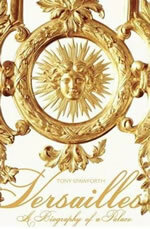 "With sparkling, elegant prose and a wealth of unforgettable details, Spawforth brings the palace to glorious life. My only regret about this book is that I didn’t write it myself." "This fascinating, immensely readable book will be welcomed by both general readers and those interested in French culture. Using an impressive array of sources, Spawforth (ancient history, Newcastle Univ. ; The Complete Greek Temples ) re-creates the history of Versailles and its inhabitants, focusing not merely on architectural details but on the many human stories hidden within its lengthy past. Meticulously tracing the growth and changing usages of the palace from the days of Louis XIII to the ill-fated departure of Louis XVI in the upheaval of the Revolution, he offers vivid insights into a vanished world of royal and aristocratic splendor as he describes the clothing, rituals, habits, ceremonies, and entertainments of a social set obsessed with the fetishes of rank." "…Spawforth elevates Versailles from an upscale tourist attraction to a breathing monument with a spellbinding flesh-and-blood history… Arch, authoritative and richly descriptive." "This well-researched and highly engrossing account conjures a bygone era with all its opulence, deference and perilous insularity." "At last a convincing account , using the letters and diaries of the courtiers themselves, of the entire sweep of Versailles' golden century, from the arrival of the court in 1682, to its forced removal in 1789. Irresistible to anyone interested in the interactions of power, sexuality and topography"
"Spawforth offers vivid stories and telling details in this well-researched book. "